Is there a lot of vehicle traffic in your company? 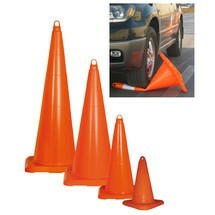 Control this traffic with appropriate traffic cones. 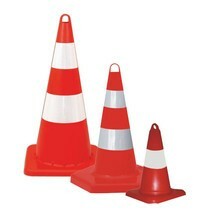 The traffic cones made of PVC can be driven over, are extremely robust and therefore created for long-term use in your company. 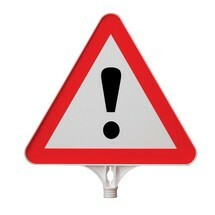 In everyday operations, you must occasionally draw attention to danger areas or redirect traffic routes. 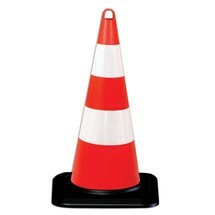 This retroreflective cone made of polypropylene is a functional and stable aid. 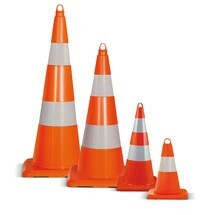 At changing job sites, mobile and easily transportable traffic cones are an ideal choice for quickly and effectively marking dangerous or damaged areas. 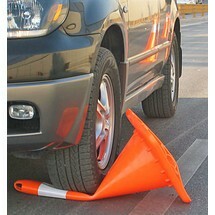 These traffic cones can be driven over and are made of durable PVC.